Merry Holiday! Here’s your present. Actually, I didn’t get you anything. Caroline Peckham did though. You can currently pick up Creeping Shadow for the awesome price of free if you get it today. I was an ARC reader for this one and you should grab it if you like classic adventure and awesome world building. Working on a multi-book series with four of them in process at the same time I find it critical to have a plan. There’s no better way that I’ve found to keep things sorted and focus my time where it most needs to be. As a project manager this should be pretty easy for me but I am finding it to be very difficult due to my ignorance about publishing and the editing process. I don’t know how long a lot of things are going to take. Estimate draft time is fairly easy. I know I average around 1,000 words an hour for fresh content. That includes on the fly research, spot editing and re-reading for context and vocabulary. I know about how long each book should be. A little math computes these times nicely. But how long will it take me to do my second edits? At the moment it looks like I will be doing my own development edits and possibly copy edits as well. I know that’s not ideal but financial reality is a thing. How long will those edits take? I have only the fluffiest target clouds at this point. My return to Atlanta yesterday had a nice side bonus. I mean besides the puppy going ape over seeing me after a several day absence. Is there anything more filling for the heart than seeing a creature so happy to see you that it can’t stop wiggling? If we could bottle puppy wiggles we could have world peace tomorrow. 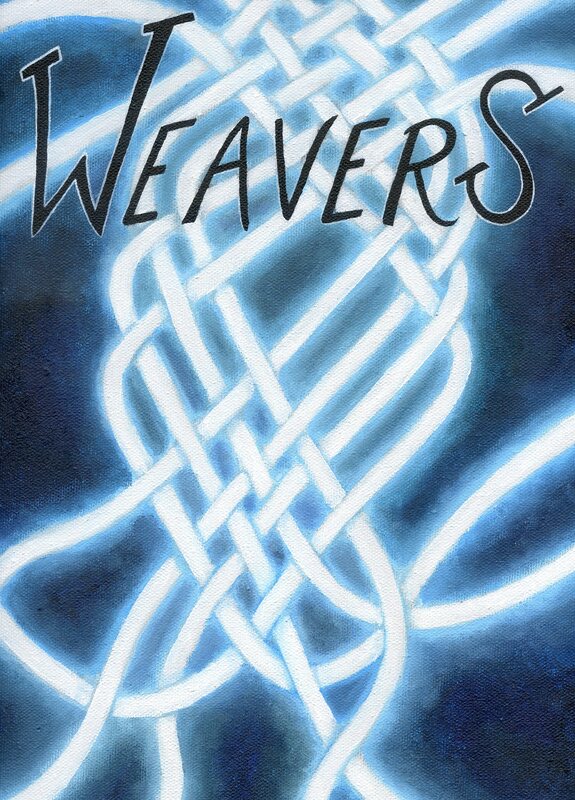 The side bonus was that the lovely Mareta Pettigrew dropped off the completed Weaver’s cover and two finished chapter art illustrations. OMB, you guyz! It looks fantastic. So lunch today will be figuring out how to get the scanner working on my borrowed lappy. The colors in the cover are so much more amazing that what I’ve been able to show so far off of snapshots.